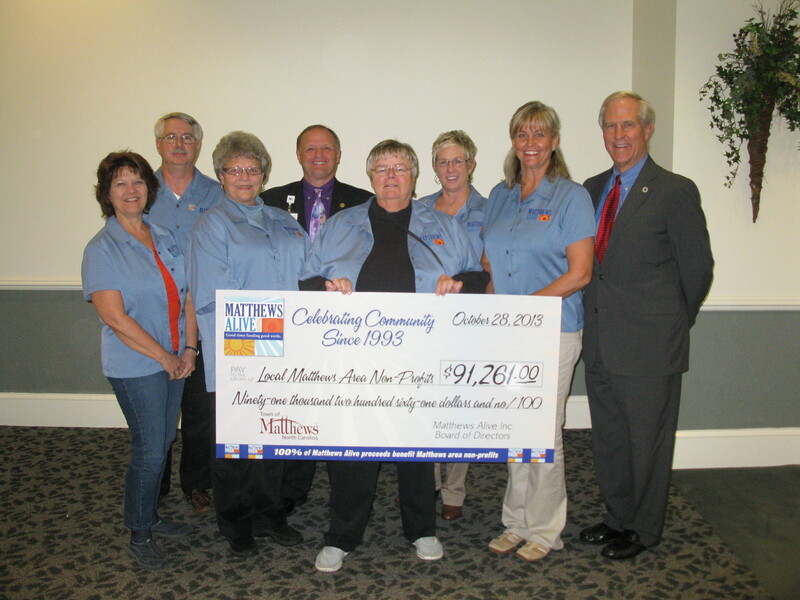 This year’s Matthews Alive festival has raised $91,261 to benefit area non-profit organizations in the Matthews community – the highest payout in the 21-year history of the festival. Matthews Alive is held every year on Labor Day weekend in downtown Matthews. More than 2,200 volunteers from 35 non-profit organizations work the weekend to put on the event free for the public. An estimated 200,000 people attend the event. Allen Tate Company was a premier sponsor of 2013 Matthews Alive.